It was lovely to speak with you on the phone today. 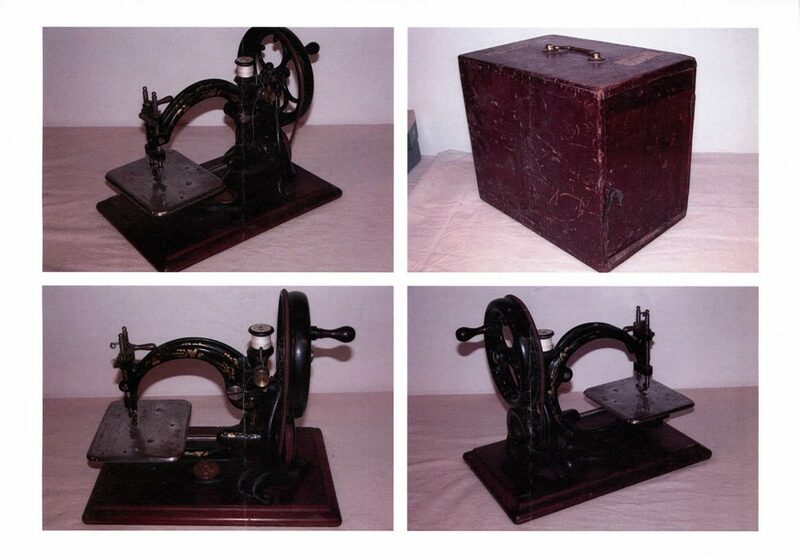 As discussed the Hawke’s Bay Museum and Art Gallery would like to accept as a gift the Wilcox and Gibbs portable sewing machine with case and key, that was loaned in I965 by Mrs HP Horne into the Hawke’s Bay Museum Trust collection. Enclosed are two gift certificates. 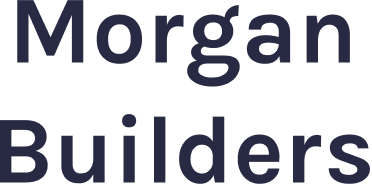 Please sign both certificates where indicated and return both copies to me in the enclosed self-addressed envelope. Once signed, a copy will be returned for your records. 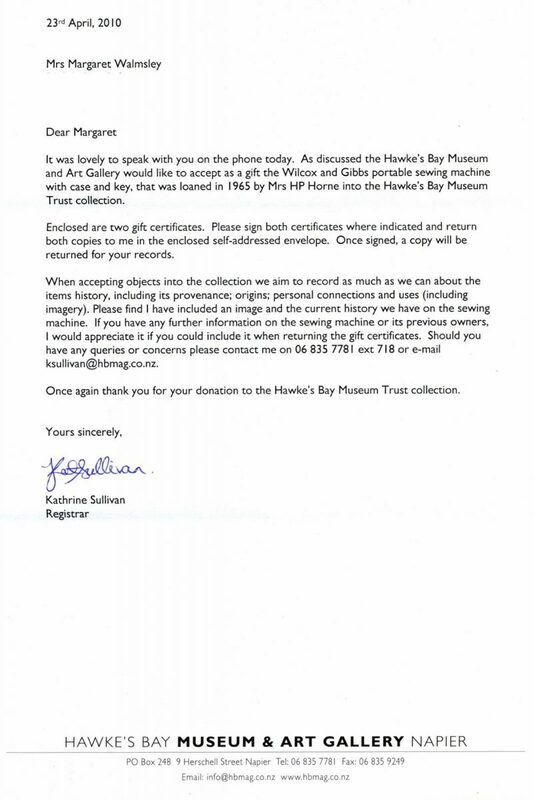 Once again thank you for your donation to the Hawke’s Bay Museum Trust collection. 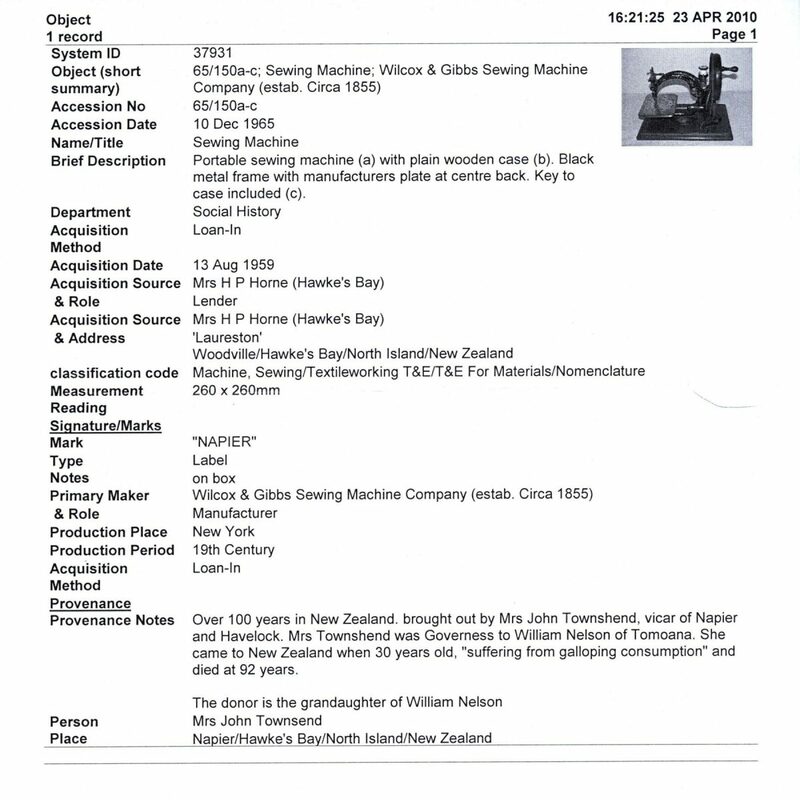 Provenance Notes Over 100 years in New Zealand. brought out by Mrs John Townshend [Townsend], vicar of Napier and Havelock. Mrs Townshend was Governess to William Nelson of Tomoana. She came to New Zealand when 30 years old, “suffering from galloping consumption” and died at 92 years.